ErosAntEros in Culture Teatrali . November 18 2017 conference's speech - ErosAntEros . Teatro di Ricerca . Contemporay Theatre - Compagnia di Teatro di Ricerca fondata da Davide Sacco e Agata Tomsic - Contemporary Theatre Company - Performing Arts - based in Ravenna, Italy. 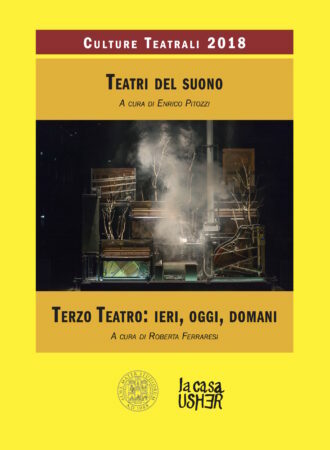 The speech by ErosAntEros – Davide Sacco e Agata Tomsic has been published with all the documents regarding the conference: FOCUS 4 | TERZO TEATRO: IERI, OGGI, DOMANI (in November 18 2017).